Ending a marriage is an emotionally draining time and if you find yourself struggling to settle an unsuccessful marriage in Largo, a divorce attorney at Wagstaff Law Offices can help you go through the process as amicably as possible. If you feel that both you and your spouse are cooperative, and you believe that you can wrap things up with either a simplified or uncontested dissolution of marriage in Largo, read on to see if a simplified procedure will work in your situation. You do not have minor or dependent children, and the wife is not pregnant. You have agreed on all of the terms of division of property, and both of you have signed the written property division agreement. You do not have any unresolved financial obligations. You or your spouse must be a Florida resident for a minimum of six months before filing, and you have a witness to prove it. You and your spouse are in agreement on all the terms of your marriage settlement agreement which you will need to file. If you and your spouse are in agreement on all the aspects, you will need to file your petition. Both of you must arrive in person to your family court in Largo and have with you the necessary documentation, witness, and fees. If you are unsure whether you meet the criteria for a simplified dissolution of marriage, discuss your situation with your divorce attorney at Wagstaff Law Offices. We can access your case to see if it is as simple as it seems. This process does not require a formal trial and can work out well if you file all of the paperwork correctly. Problems may unfold to complicate the process if something is not applied for correctly, or if the necessary paperwork is not intact. A divorce attorney at Wagstaff can review your paperwork and help you draft your settlement agreement and parenting plan to make sure you do it right the first time. Can Your Marriage Dissolution Be This Simple? There are many legal decisions to make when dissolving a marriage in Largo. 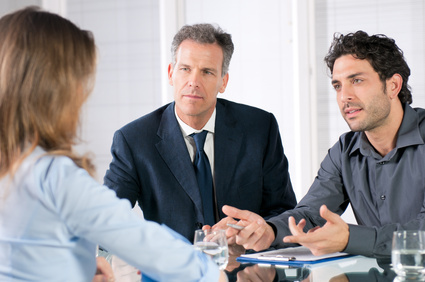 Getting qualified counsel to help you consider your situation objectively will benefit you in the long run. If you and your spouse are genuine in the desire to split, then a simplified or uncontested dissolution may work for you. However, we do advise you to run things over with an experienced divorce attorney to make sure you are not missing something important that may cause regret in the future. Just to be on the safe side, have a divorce attorney in Largo look over your paperwork to make sure that everything is fair for you. They will make sure you are filing everything correctly the first time and getting what you deserve in your agreement. Give Wagstaff Law Offices a call at 727-584-8182 for your consultation.